I met Marta about two years ago when I interviewed her for Papier Mache Magazine. Instantly we became friends, feeling like kindred spirits across the ocean, our similarities ranged from parenting style to environmental awareness and even down to a love of oats for breakfast every morning! I was drawn to Marta for her interesting life journey, and the passion she feels for her product and brand Babaá. Marta said in that interview, which always stuck with me. “I can not think of knitwear if it is not made of natural fibers. We can all feel the difference between an acrylic jumper and a wool one for example. Well, kids do too” As a woman and mother making some of the most beautiful sweaters available, I knew Marta was the right person to talk to about why wool is wonderful! Thank you Marta. Why wool? Well, because wool is so perfect. It is Practical, beautiful and environmentally friendly! First of all it is practical: It keeps you comfortable, by regulating your body temperature. It protects you from rain as it is water-repellent and does not retain moisture, it will not form mildew or odor. It is stain resistant and easy to clean as dirt stays on the surface of the fiber. It is naturally anti-allergenic as bacteria are attracted to smooth surfaces that are positively charged and wool is coarse and neutrally charged. It is fire resistant because it is a protein fiber, not a cellulose fiber. Then there is the beauty factor, wool is beautiful to touch and to feel, there are so many varieties of wool so you can really choose, softer or rougher , whatever your choice is , it is a long lasting fiber that you will cherish forever. 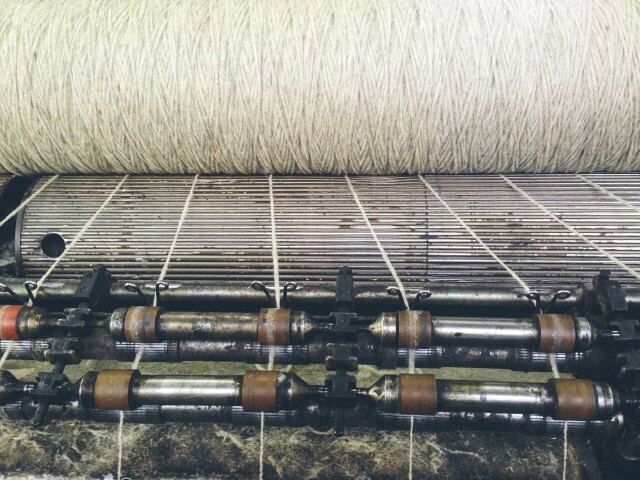 The pilling ( little balls) in natural fibers can be dealt with unlike the one from synthetic fibers. You can not break synthetic fibers so you will never be able to get rid of pilling. If you have a woolly jumper that looks too worn with too much pilling you can always remove them and make it look good again, and if wool wears out finally after years of wearing, there are amazing methods for mending many of them also beautiful and creative. My favorite is The Visible Mending Program by Tom of Holland. This brings me to the third and very important point about wool. Wool is environmentally friendly. Sheep are not intensively reared. Wool is renewable, unlike some synthetic polyester fibers, that comes from oil/petroleum, it is also bio-degradable in soil even releasing important nutrients. 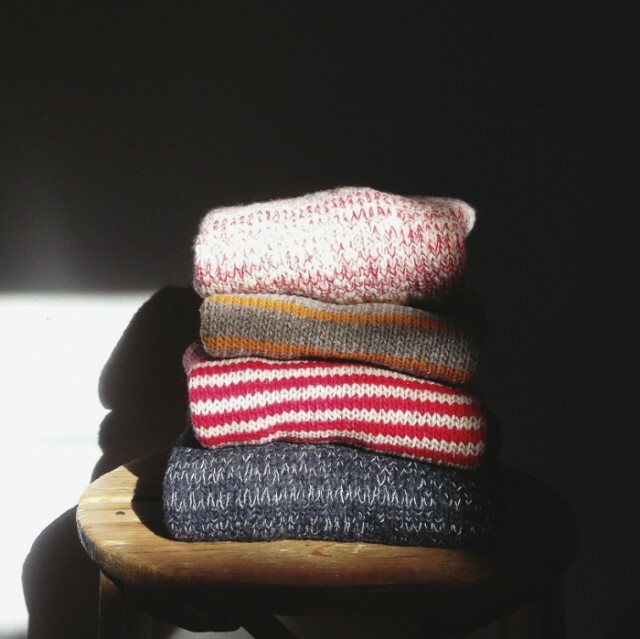 Although if you invest in a woolly jumper , cardigan or blanket you probably will want to keep it forever. I love wearing jumpers that my mum knitted when she was young, all of which of course are made out of wool. Where do you source the wool for Babaá from? What kind of sheep, and where is the wool milled? I started by buying wool from the artisans in the North of Spain, they really deal with all the process of choosing the fibers depending on the length and type of sheep so they are more in touch with the wool providers. But after a nice meeting with Rosa Pomar (I highly recommend anyone interested in wool to learn more about her amazing work) – I realized that I had to go even further in my research and try and source my own wool fleece before it is spun, to make sure that it comes from the right source. This is a lot of work but it also gave me the possibility to start getting our own Spanish Merino which is so hard to trace. I think it is so important to use local fibers. Of course I can not only use this for my collections as there is still not enough but I like working in this direction and I already see my possibilities broadening. 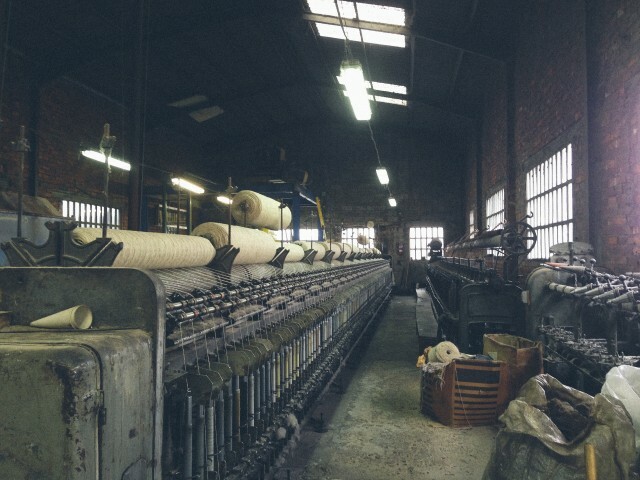 Most of the wool spinning is done in a small mill the North of the Country and some is also done in a bigger mill in the South of Madrid, so is all the cotton. The wool that is not sourced locally comes from an Italian mill that makes a blend of organic wool and alpaca. The journey of your sweaters informs the quality, they are beautiful not only because they look and feel beautiful, but also because they are made in the best possible way, tell us about your process with your knitters? Our knitters are all in Barcelona, I love the team so much. I hope we grow together and we can get more people to work this way. It is all knitted in flat domestic machines and then there is a team that assembles all the pieces. Some of these women have been doing this all their lives and, fortunately, they still love it. I feel very lucky to be able to work with them, I really cherish these relationships and all the expertise invested in babaà. I do all the designing and selection of yarns and develop the textiles samples – Then I discuss everything with the knitters – We go over the patterns, drawings, yarns and textile samples to see if they are all suitable. 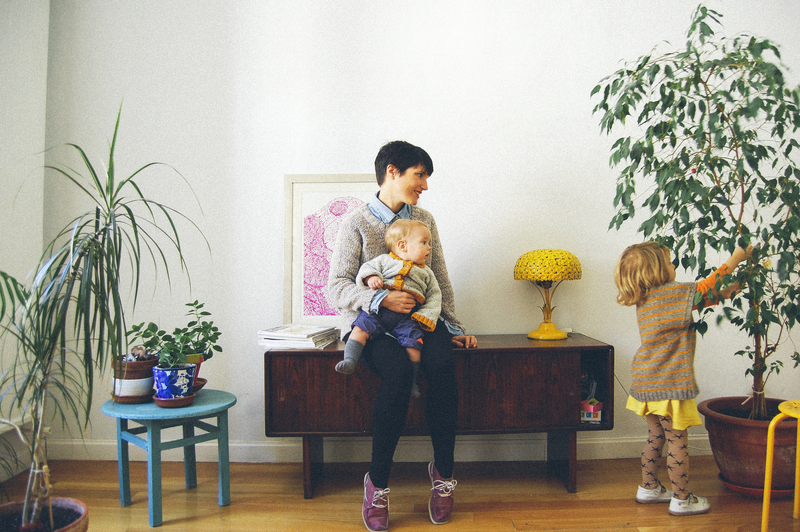 We evaluate patterns and textiles for children, of course I want beauty but practicality and durability comes first. Sometimes these restrictions develop into beautiful textiles so I am open to anything when it comes to design. I buy the yarn, buttons and labels and everything is sent directly to knitters and they knit and assemble it all together. Knitting and assemblage are both as important. All the knitting is done one by one in flat domestic machines. 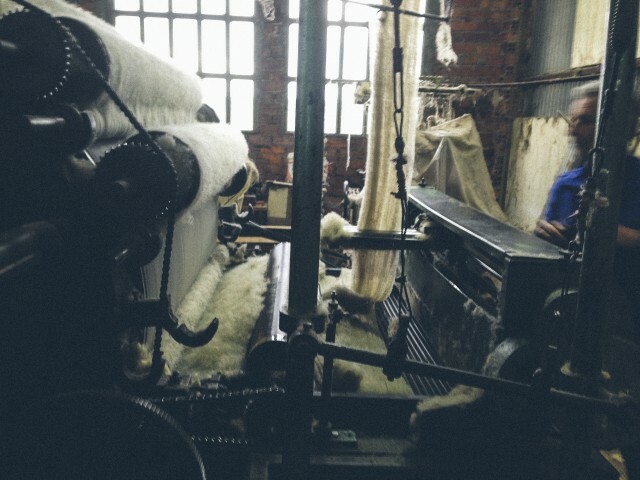 The local yarn comes with bits of “nature” as we call it (bits of hay) so it has to have a process of waxing previous to knitting so that it is clean and softer and ready to be knitted. After knitting all the pieces they are washed separately before assemblage so that they never loose shape and there are no surprises with shrinkage. They are then assembled by hand. One by one, with a lot of care. There is a lot of nice work involved! Your sweater style is roomy and voluminous, tell us about the lines of your sweaters. Tell us a little of your history. 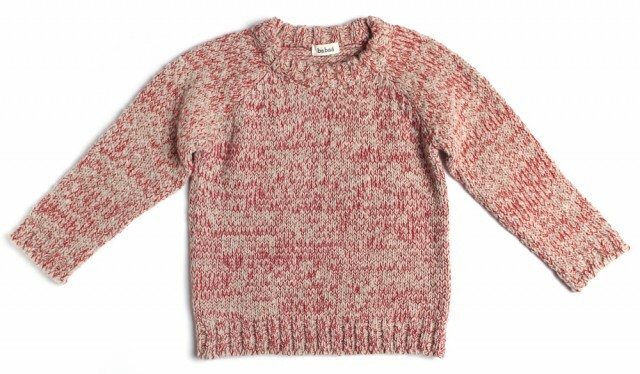 What lead you into the textile industry, but in particular children’s knitwear? I always had an interest in knitwear design. My grandmother used to knit lots for me and my brother and sister, she even knitted our underwear when we were so little! My mum made lots of our clothes so I guess it was always on my mind somehow. When I moved to Ireland in 2002 after a few years studying journalism in Madrid, I decided I wanted to study Textile Design and it all led me to knitwear again! After Ireland I moved to Argentina where I worked for a big company designing women’s knitwear, it was a dream job and I learned lots thanks to my boss and mentor Sylvia. 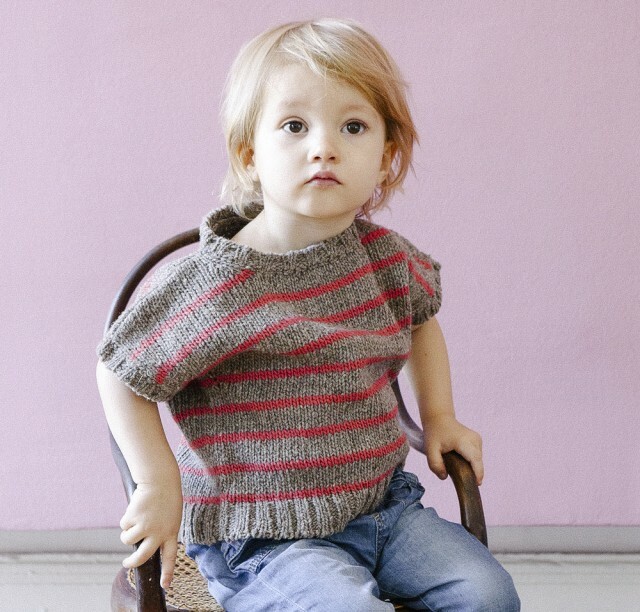 When I moved back to Spain I knew I wanted to continue designing knitwear but having had Matilda I wanted to design knitwear for her, so the transition to children’s was very natural and I now absolutely love it! 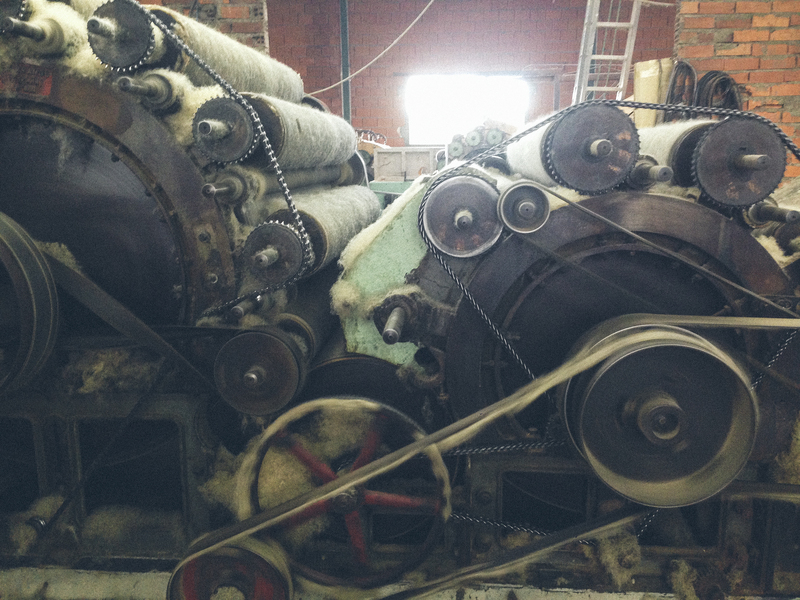 Images of the wool mill Babaá works with in Spain. This entry was posted in G E N E R A L, W E A R and tagged autumn, babaá, ethical clothing, knit, winter, wool. I just re-read this after a couple of weeks and it instantly made me smile again. So very interesting, informative and, well, loving! Nothing more inspiring than people who truly love what they do and have beautiful products to show for it. I gave this interview to my boyfriend to read (who doesn’t usually care about clothes) and he was extremely impressed. Thank you both so much.